Some 13,000 refugees mainly from Deir ez-Zor and Raqqa live in the camp. The problems faced by refugees in Ayn Isa Camp have recently been increased by the damage to their tents. No international agency is helping these refugees and the administration of the camp is doing the impossible to try and respond to the almost 13,000 refugees. The camp administration was able to replace 650 tents and this despite its limited possibilities. The 13,000 refugees are mainly from Raqqa and Deir ez-Zor and live in some 2,700 tents. 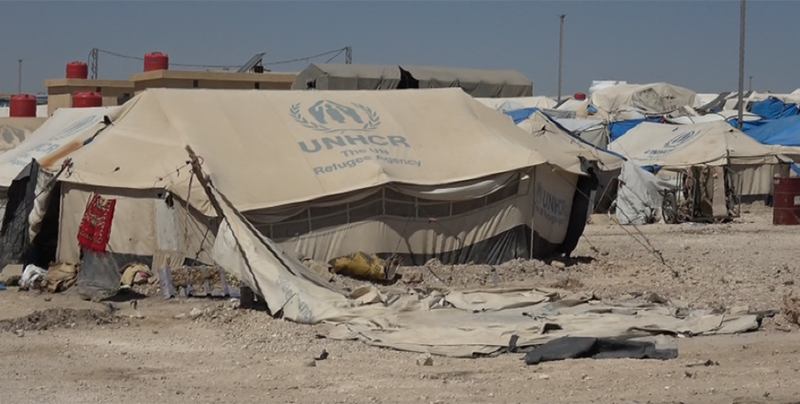 Some of the tents in the camp had been damaged due to the desert storms that hit the region recently. Some were extensively damaged and cannot be used. 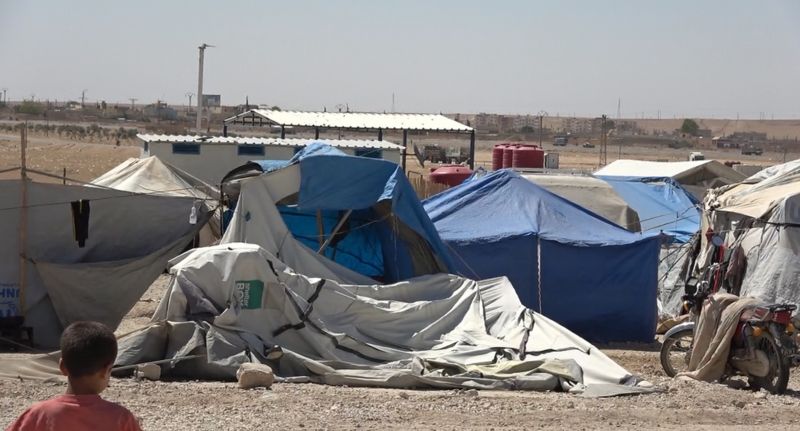 According to the information given by the camp administration to ANHA, the number of tents that have been completely damaged and thus cannot be used anymore is around 600, and the number of tents that continue to be used after being patched up, is around 700. Many of the tents have been damaged due to high temperatures. Refugees are understandably trusting less and less relief and aid organisations that have promised to help solving their problems. Two refugee mothers are living in their tents, despite the damages they suffered after the recent desert storm. The Camp administration has managed to replace 650 tents despite their limited resources and thanks to the support of the Migration Affairs Council. Speaking on the subject, Ayn Isa Camp administrator, Jalal al-Ayaf said they have been able to replace the tents extensively damaged and added that they had sent documents and letters to various aid organizations asking for help. The letters were sent two months ago, but no answer has been received yet. 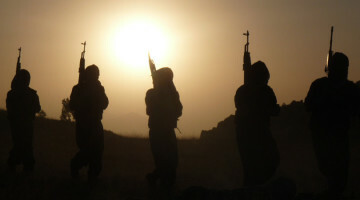 Ayn Isa Camp was founded by the Democratic Autonomous Government on 11 November 2016 to provide shelter to refugees from Raqqa during the Operation Wrath of Euphrates, launched to liberate Raqqa from the DAESH (ISIS) mercenaries. The Raqqa Civil Council has been working with a number of aid organizations operating in northern Syria since 18 April 2017 to meet the needs of refugees in the camp. On 7 September 2017 another camp was set up in the area to support the Ayn Isa Camp as well as provide shelter to displaced people from Deir ez-Zor.